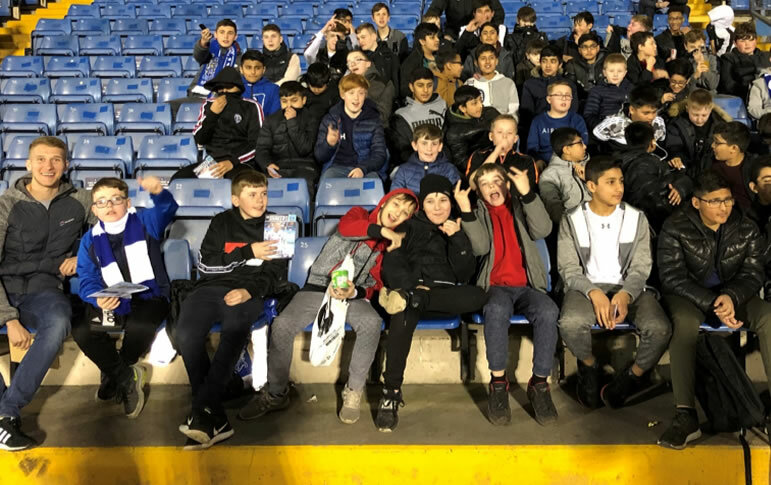 On Tuesday 26th February the PE department took 54 students to watch Bury FC Vs Portsmouth in the semi-final of the football league trophy at Gigg Lane. For some lifelong Bury fans in the group such as Owen Seymour, Phillip Wilson and Reece Eckersall it was a chance to watch their favourite club with their friends. However for many students it was their first experience of watching a live professional football match. Despite Bury being the better team in the first half, Portsmouth showed their class in the second, ending up comfortable 3-0 winners. As a result of this the shakers unfortunately missed out on a trip to Wembley for the final. The pupils were impeccably behaved throughout and a credit to The Derby High School. With the club stewards even commending their behaviour as well as a brief cameo on Sky TV! Special thanks to Mr Robinson, Mr Stephenson, Mr Slater and Mr Sellers who all give up their time to make this trip possible. With Bury pushing for promotion to League 1, another trip, later in the season is already being planned!